When Congress passed the Tax Cuts and Jobs Act in 2017, they made changes that went into effect this year. With that said, there are a few additional things that you need to take into consideration if you are thinking about getting a divorce. This is particularly true if you think that alimony will be part of your divorce settlement agreement. Under Texas laws, alimony, also known as spousal maintenance, is very limited. The amount of support is typically capped at 20 percent of the payor’s gross monthly income or $5,000 per month. If a marriage has lasted 10 years but no more than 20 years, the alimony will be limited to five years. If the marriage lasted 20 years but no more than 30 years, the alimony will be limited to 7 years. If the marriage lasted more than 30 years, the alimony will be limited to 10 years. 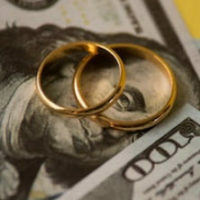 Alimony has been a standard among divorce in Texas when it comes to a high earning spouse and low earning spouse. Until December 31, 2018, the higher earning spouse was allowed to deduct the alimony payments they made. With the new tax laws, these are the things that you can expect to change. People who get spousal support from their ex have been required to pay tax on the amount of money that they receive. However, the new tax laws will no longer require this from couples whose divorce is finalized after December 31, 2018. Divorces that were finalized before January 1, 2019, will still be taxable to the payee and deductible by the payor. This could have an affect on the amount of alimony that is offered in a settlement. These new tax laws could also make divorce attorneys more likely to rely on more traditional divisions of property rather than alimony. This means that the higher earning spouse may be required to provide more property to the lower earning spouse instead of alimony. Some types of alimony may be considered contractual alimony in which case the alimony is secured by a contract that is managed by the court. If the traditional property division fails to perform, such as real estate, stocks, etc., the receiving spouse will assume the liability for those assets. Because of these changes, divorce proceedings may be more expensive and take longer to end due to the changes in how alimony is required to be handled. Negotiations and property settlements may be more difficult, especially if one of the spouses has a significantly higher income than the other. This may be particularly true if the high earning spouse is viable and valuable to the success of the asset that results in the high income. If you are currently paying or receiving alimony from a settlement that occurred prior to 2019, these changes will not affect you. However, if you are currently going through a divorce or considering a divorce, you need to speak to an attorney as soon as possible. Contact the Houston divorce attorneys at Lindamood & Robinson, P.C. today to schedule a consultation.